Our long tradition of offering the industry’s most innovative computer designs began over 25 years ago. Since our launch, we have played a defining role in setting the pace of the fast-changing industrial computer market. At ICP, we have pioneered the introduction of many groundbreaking products, including a full line of SBC boards in the late 1980s — a platform that is still heavily relied on today. In today’s highly competitive technological environment, our custom computing solutions remain as innovative as ever. With a broad selection of products covering a diverse array of requirements and specifications, customers from many different industries rely on us for their industrial computer and accessory needs. 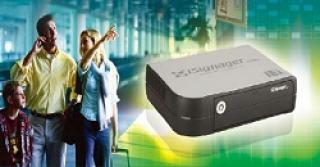 The compact, efficient nature of SBCs make them a cost-saving alternative to desktop computers in many different settings, including automation, industrial control, and many other applications. We offer a complete array of SBCs, backplanes, add-on cards, and embedded systems that are well-suited to virtually any industrial application. Today, liquid crystal display (LCD) products are among the most heavily used high-tech gear in both professional and personal settings. Commonly utilized in televisions and computer monitors, LCD displays provide the clearest, sharpest images for their users—all while working at remarkable energy efficiency with low heat emission. Found in a wide array of technology, panel PCs utilize LCD touchscreens in applications ranging from ATMs to POS systems and beyond. For the industrial sector, panel PCs are employed for a number of purposes, including process control and data procurement. One of the biggest advantages of our advanced products is their mobility; we offer tablet PCs that combine the most advanced circuitry and touch screen displays with the ability to take them anywhere for almost unlimited use on any project. Our products include a full range of features for maximum convenience, including touchscreen capabilities, ports for charging and network connections, and buttons for system power and volume control. Our mobile computers are highly sought-after for a full range of professional applications, including tracking, data collection, diagnostics, GPS navigation, and much more. 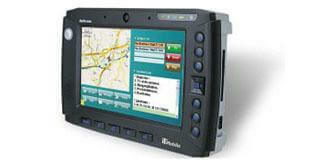 They are available in many different forms, including tablet PCs, industrial PDAs, and in-vehicle automotive products. Power supplies from ICP America are some of the most efficient in the industry, protecting against a full range of potential hazards including overcurrent, overpower, excessive temperatures, and short circuiting. Their efficiency allows for quiet, user-friendly operation while providing maximum protection for computer hardware. We offer a full array of units for industrial computers, including AT PS/2, ATX, DC to DC, and redundant power supplies. All of these products are RoHS compliant and meet or even exceed the highest industry standards. These products represent only a small sample of the computers and accessories available from ICP America. We provide a diverse array of computer chassis, digital signage, and medical products, in addition to maintaining a full division for embedded technology. Our innovative engineers continue to develop solutions to the industry’s most difficult challenges; as the high-tech sector continues to expand, these solutions will become increasingly important. To learn more about our vast array of products or to request a custom quote, contact the ICP team today.